Just because it’s Halloween does not mean you should let your green thumb go black. I’m a firm believer than you can still have plenty of living things around for Halloween, they just need to be in the right hand made container. You know how much I love air dry clay. I’ve made face planters, jewelry and last year for Halloween I made air dry clay witches, cats and owl planters. This Halloween I decided to revisit my love of air dry clay planters. This year has a classic horror theme – mummies, Frank and even the Creature From the Black Lagoon. Over on DIY Network I’m sharing how to make these adorable air-dry clay planters yourself. 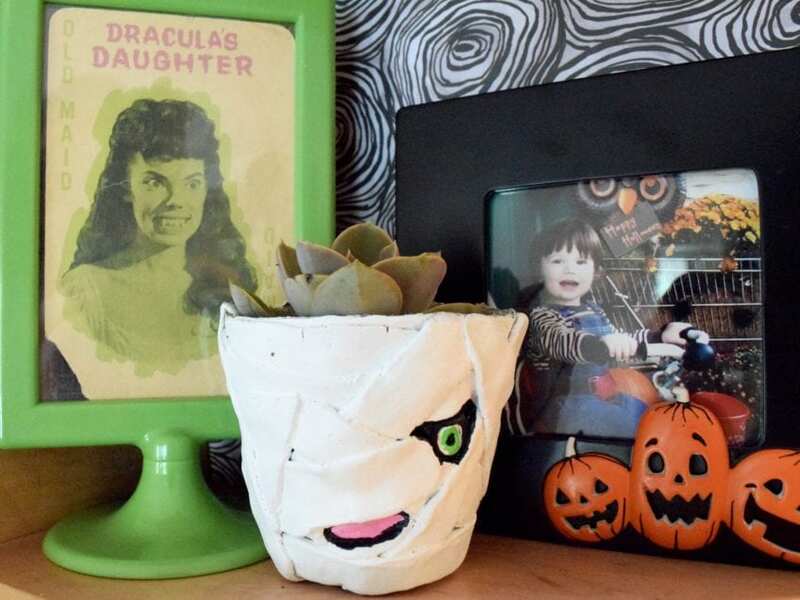 Looking for some other ways to keep your plants alive, yet spooky? I have an entire post about Halloween Horticulture on DIY Network. Still want more? How about Halloween drip pots. Pumpkin planters – hanging, table top, faux and real. Graveyard succulent garden in the back of a black pick-up truck. 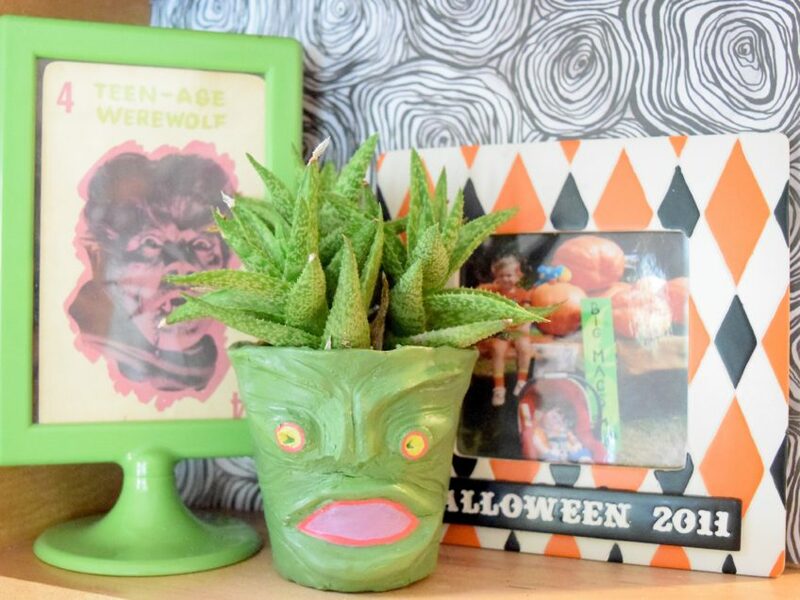 Remember you don’t have to hide your plants for Halloween, just give them a new seasonal home! Posted September 22, 2016 & filed under Crafts, Halloween, Holidays, Plant Crafts. How fun! 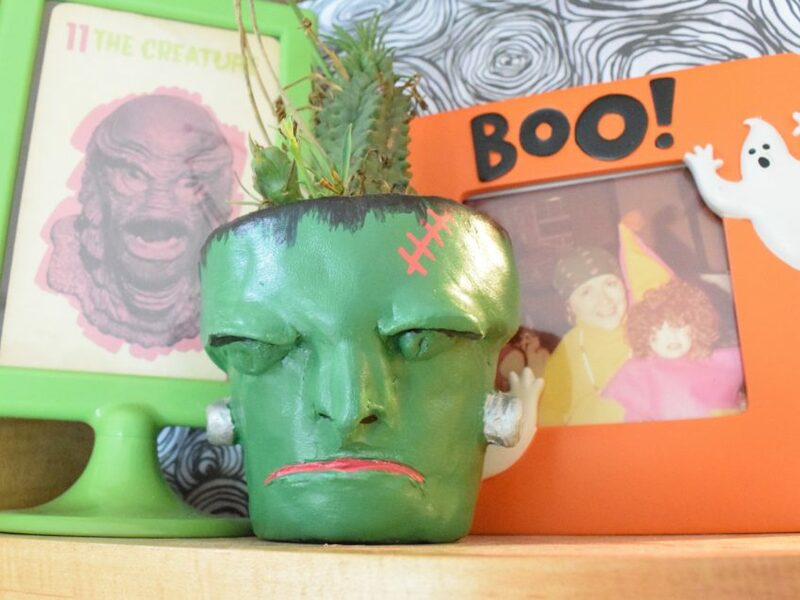 Your monster planters are perfect for Halloween. Pinning. Thanks for sharing at Snickerdoodle! Thanks so much Beverly! Love me some air-dry clay.